Adam Waxman: Canada’s sparkling wines have recently emerged on the world stage. How did that happen? Zoltan Szabo: Well, we learned about ourselves. We have the know-how, and we certainly have the climate for growing grapes that are suitable for sparkling wine production: a cool climate. Champagne is a cool climate region. We have the technology; we have the desire; and we also have the market. Bubbles are very much en vogue. It made perfect sense to start producing it. And we are producing excellent sparkling wines—not only in Ontario, but out in BC, and in Nova Scotia, and even in Quebec where they are making sparkling cider that is absolutely spectacular, made from the champagne method. We’ve come a long way. AW: There is a proliferation of bubbles in the Okanagan. The organic and biodynamic production of Summerhill Pyramid Winery produces some of the most beautiful and unique sparklings ranging from Cipes Gabriel, with creamy lemon and vanilla notes and a voluptuous mouth-feel to the Cipes Ice, a sparkling pinot noir with a dosage of pinot noir ice wine. Sumac Ridge’s Steller’s Jay Brut is ever popular for its bouquet of soft berries and fruit, and Blue Mountain Vineyard also boasts a range of sparkling Brut made in the traditional method, from their Reserve and their Gold Label to their Rosé, all of which have a fine mousse with complex citrus notes and rich finish. The wines coming out of Nova Scotia are so impressive. In particular Benjamin Bridge has the classic qualities of champagne, but with an uncommon underlying acidity and minerality characteristic of the terroir. These wines have youthfulness and age-ability. The salinity of the Bay of Fundy is integral to moderating the temperature and extending the growing season well into November, so there is more phenolic maturity and more fragrant citrus aromatics. ZS: It’s ever emerging. It’s beautiful—some hybrids and some vinifera. Benjamin Bridge is outstanding, especially their 2011 Reserve, 2012 Brut and 2013 Rose. At a blind tasting event of sparkling and champagne wines at Canoe Restaurant. Benjamin Bridge won, outscoring some of the most recognizable champagne houses including Dom Perignon and Cristal. AW: Most of Canada’s sparkling wine comes from Ontario. Sipping Jackson Triggs Entourage Series while sitting by their vineyards watching a concert in their amphitheatre is one of the great wine experiences in Canada. 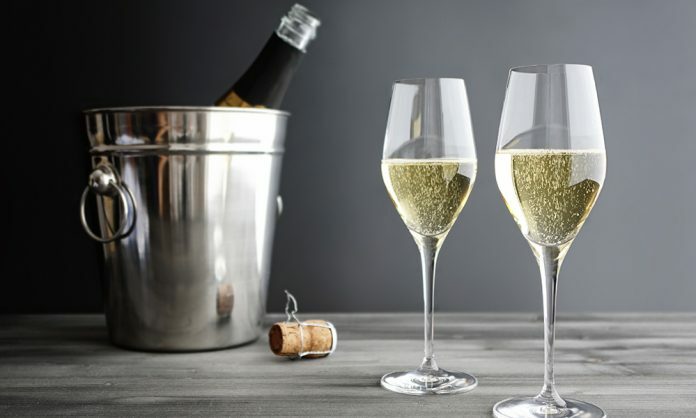 Whether the delightful sparkling Merlot, the citric and grassy Sauvignon Blanc or the Brut of blended Pinot Noir and Chardonnay, with its creamy notes of apple and lemon, they’re at the forefront of excellent sparkling Ontario wine. The low brix and high crisp acidity make them very food friendly. The Blanc to Blancs from Château des Charmes is creamy with fragrant fruit and notes of baked bread. In the Beamsville area Kew Vineyards is a boutique sparkling winery. Rosalie is made from 100% Pinot Noir, and is clean and bright with notes of strawberry, grapefruit and watermelon. The Tradition Sparkling is barrel-aged, and a complex yet balanced composition of Pinot Noir, Pinot Meunier and Chardonnay for elegance with a hint of sweetness. The Pinot Meunier is the first of it’s kind in Ontario, and it has a vibrant range of fruit. It is clean and crisp. ZS: The wineries that pioneered sparkling in Canada are in the Niagara Peninsula. Henry of Pelham comes to mind, because they were one of the first with their Cuvee Catherine. I have a spectacular sparkling wine from Trius. Pellar Estates has a wonderful sparkling rosé. It’s Pinot Noir, Chardonnay, a touch of Gamay, and a dosage of Vidal Icewine, makes it original. It’s very Niagara—nowhere else in the world is it done like that. It’s delicious and very aromatic. I’m also a huge fan of Inniskillin’s sparkling ice wines. That is the epitome of local, because it’s Icewine and it’s sparkling, and that too is not made anywhere else in the world. Two Sisters Vineyards’ Lush Brut Rose has a dosage of Cab Franc, and it’s pretty original. And then there’s Hinterland Winery in Prince Edward County. Their wines are very aromatic, high in acidity. Their Sacrament wine is blended Chardonnay and Pinot Noir, aged for 60 months. I also like their Whitecap, which is a blend of Riesling, Pinot Gris, Vidal and Muscat. It’s a lovely wine. AW: It seems that the quality of Canadian sparkling wine is rising along with its popularity. ZS: Would you do a blind tasting of champagnes and our Canadian sparkling wines in a line up of 25 or 30 bottlings? I would put the best of B.C, Nova Scotia and Ontario, against any of the mainstream champagne houses, and let’s see. Let’s see. Adam Waxman is an award winning travel journalist focusing on food, wine and well being. As well as an actor in film, television and formerly, the Stratford Festival, he is the Associate Publisher and Executive Editor of DINE and Destinations magazine, and Chief Content Officer of DINE Media Inc.